This February #EVE_NT happened, and as far as fan conventions go, it proved to be a rather exciting event. 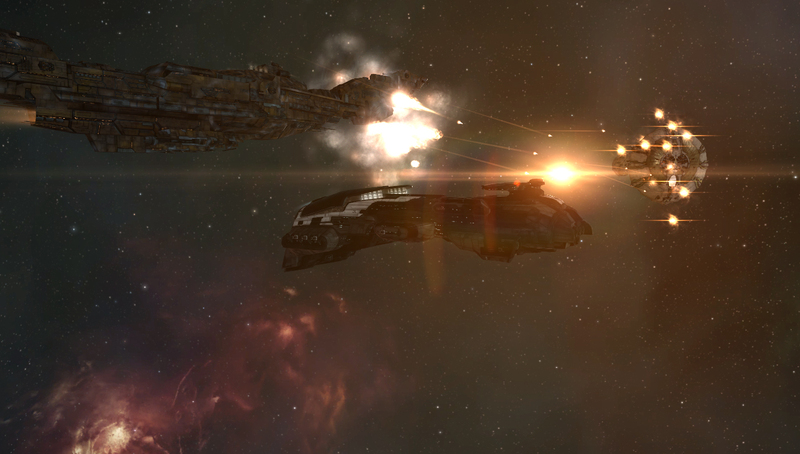 Several CCP developers were in attendance, and they brought with them some fun demonstrations regarding capital ships. Capital rebalance has been in CCP’s development pipeline for quite some time, and during the last couple of years various mechanics have been changed that indirectly affect how capitals are able to project their power. 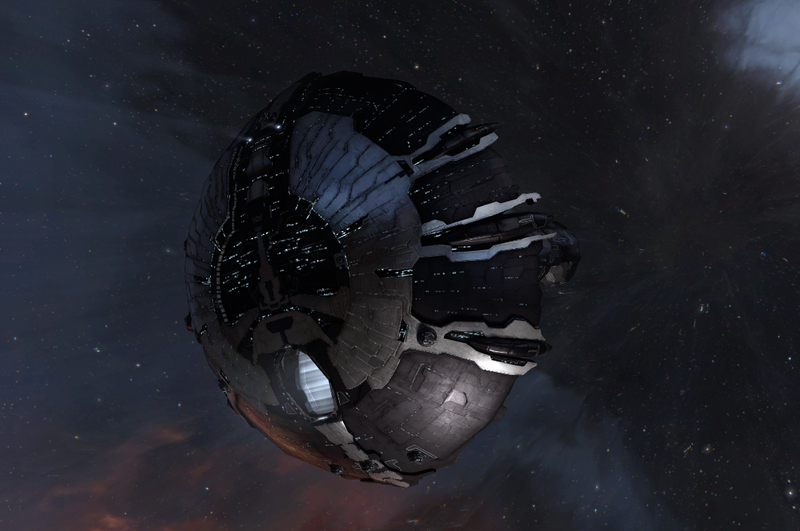 Now, the time has come to directly change how capitals work, and CCP are doing good work in my opinion. With their planned changes they put the skill level to pilot capitals up to where they expect a player’s actual skill to be, instead of just depending on the amount of skillpoints alone. Direct capital rebalancing was kicked off with the announcement of “FAX Machines” and the redesign of traditional carriers. After some minor controversy, the community generally accepted the changes as more details followed about how carriers would be transitioned to a DPS role similar to dreadnoughts, but still keep their fighter capabilities. At #EVE_NT, the new system was shown where pilots can completely micro-manage their fighters. CCP demonstrated test builds of a brand new and intuitive interface to control and modify your fighters, and the system looks absolutely fantastic. Carrier pilots will now be able to actively decide about how to apply fighter damage in the most effective way during battles, and that adds another layer of skill previously absent from carrier mechanics. However, the crown jewel of the direct capital changes is the new Doomsday mechanic. Back in the days of the Avatar named “Steve” (the affectionately named first titan ever built, and lost), Doomsdays were a force to be reckoned with. They were able to apply significant damage to anybody unlucky to be within the area-of-effect. Doomsdays have since been nerfed, now they only apply massive damage to a single target. I dare say titans have diminished in value since then, and were left with the role of being capital killers or just simply jump-bridge boats. For the longest time, titans were rarely fielded in battle, and that makes sense given their current state. Titans represent a large, mostly immobile, high-value target for an opposing fleet, and overall they don’t provide a whole lot of combat viability due to their limited Doomsday mechanic. The eight capital high slots and fleet boosts quite frankly don’t make up for the massive price tag in their current state. Hence, titans are used primarily for bridging other fleet ships. But no longer. At #EVE_NT, various new Doomsdays were shown off to the crowd of excited attendants. Although the two demonstrated new Doomsdays are different in shape – one being a cone and the other a beam – they have one significant thing in common: area-of-effect damage. The prototype (and I do stress prototype) Doomsdays are capable of annihilating whatever piece of space metal is unfortunate enough to get directly hit, as well as causing very significant damage to everything around it. This thrusts titans leaps and bounds forward from what they have diminished into, and makes them considerably more combat viable again due to a newfound ability to spread out damage, appropriate for a ship their size. There is still more that could be done though. Although we only saw prototypes of the new Doomsdays, one thing was made clear: they are not restricted to any particular titan. This is goes a long way in terms of improvement. Players can have more choice in what they want to fit their titans with, and I assume they will eventually be able to either choose a titan that can hit one target with significant damage, or apply less damage but spread it out further. This change will be fantastic if it is fully fleshed out, since it adds another layer of tactical depth to capital fights, which for the longest time have been relatively stagnant. Currently the most important combat oriented decision existing is whether or not to enter Siege or Triage. In the future, FCs can choose to make the risky decision of fielding a titan depending on the circumstances of the grid. Either with a fit for single-target damage or area-of-effect. In my opinion this isn’t quite optimal yet. Let’s add even more depth to each titan’s viability. Otherwise, what’s the point of fielding one over the other if they’re all relatively the same besides in tank? In order to stay consistent with the visual effects of current Doomsdays (which, by the way, could use even further improvement) the Minmatar Ragnarok and Caldari Leviathan could be specialized towards AoE damage while the Gallente Erebus and Amarr Avatar would have a single-target damage specialization. Consider the Ragnarok. Its current Doomsday effect is quite literally “bullet hell”. Emphasize that some more with lots of projectiles, spread out, causing damage over a very wide area. The Leviathan has a similar visual effect, but with missiles. So in this case, “missile hell”. Emphasize that effect too and give it a trade-off with the previously proposed Ragnarok Doomsday. If the Ragnarok is going to do some damage spread over a very wide area, have the Leviathan spread damage over a comparatively lesser area, but do more damage. That gives an FC a choice depending on the situation on grid. Further balance potential exists too. Maybe such AoE weapons could have a twenty minute cooldown instead of the usual ten-minute Doomsday timer. After all, a titan able to do AoE damage is already a significant game changer, even more so if made powerful enough to justify the cost and high risk of fielding it. The Erebus and Avatar would also be specialized consistent with their current visual effects, which are basically giant space lasers, and match their faction’s roles/traits. Gallente are most commonly known for their blasters, so it makes sense that this should be reflected in their titan as well. The Erebus Doomsday could do very high single-target damage but be rather limited in range. The balance for this lies in the fact that Titans are inherently very slow, and the typical armor tank of the Erebus doesn’t help with this. The FC would have a significant decision to make as to whether or not it will be acceptable in a given situation to have such a significant asset that close to the opposing fleet. The Avatar would have a similar single-target Doomsday but consistent with an Amarrian trait: high optimal range. Have the Avatar’s main weapon do noticeably less damage to a single target by comparison to the Erebus, but at a far longer range than any other Doomsday. Balance for the Avatar lies with the fact that it is most often the slowest of the four titans due to the usually very heavy armor tank placed on it. That would mean it is well within the realm of possibilities for a HIC to fly out and prevent it from escaping, which can also create an entire shift of movement on the battlefield, often changing the dynamic. With all of these changes implemented, this would add a completely new depth to an FC’s selection of titan(s) to field, and can also lead to important production choices for an alliance capable of building such ships. The changes that are coming down the pipe, as well as several changes people are still speculating or brainstorming about, could all add to give capitals more strategic depth than any other ship class in the game, and that is the way things should be. After all, they are also some of the most valuable ships in the game. This also better reflects the notion that more SP should go along with higher skill and experience. Of course, that correlation was somewhat compromised by Skill Injectors, but the nature of EVE could weed out those who can not match the artificially high SP of their characters with corresponding player skill. 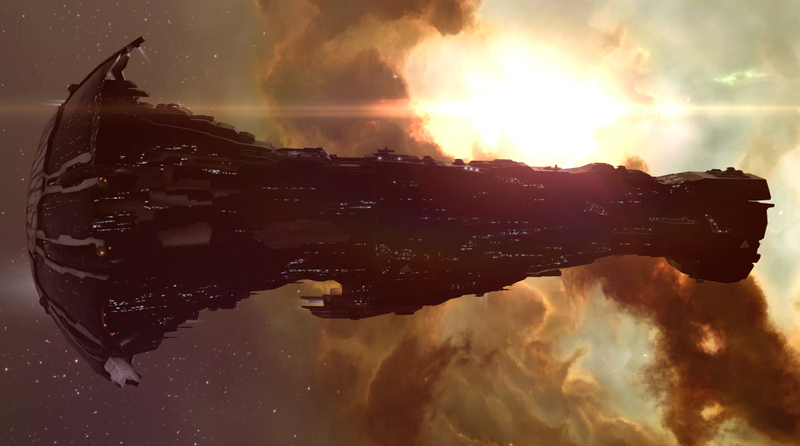 With CCP’s planned changes titans will be more powerful and cataclysmic, but I do think there is still potential to do even more with them.